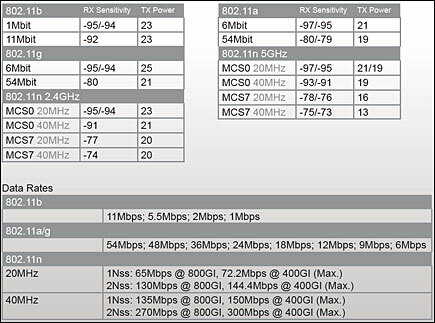 MikroTik presents our new wireless 802.11a+b+g+n miniPCI card for multibandhigh speed applications! It can work either on 2.312 – 2.497 or 4.920 – 6.100GHz range and it includes MMCX-Nfemale pigtail (length 30cm) for external antenna. The RouterBOARD R52n miniPCI network adapter provides leading 802.11a/b/g/n performance in both 2GHz and 5GHz bands, supporting up to 300Mbps physical data rates and up to 200Mbps of actual user throughput on both the uplink and downlink. Adding Wireless N to your Wireless device, it provides higher efficiency for everyday activities such as local network file transfers, Internet browsing, and media streaming.